Unfortunatly all of the places for this event have sold out, please check a different date if you would like to attend. 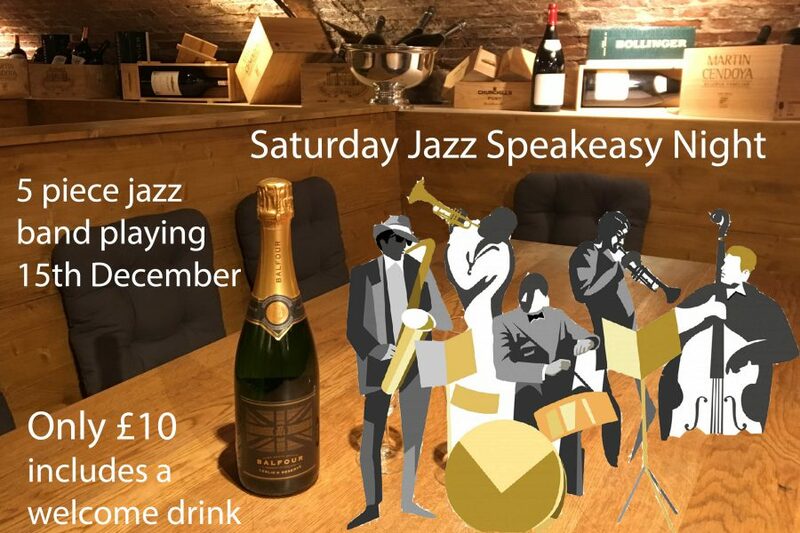 Our Speakeasy nights run from 5pm to 10pm with the Blue Note jazz band playing 3 sets starting at 7pm. For only £10 you can reserve a seat and this also includes a welcome drink; whether it be a small glass of wine, a pint of beer or a single gin & tonic. So book your seats now and enjoy a night listening to some toe tapping tunes while drinking lovely wines, eating fantastic platters of food and soaking in the unique atmosphere of our wine cellars. (Please note that if your party is 4 or less then you may have to share a table).